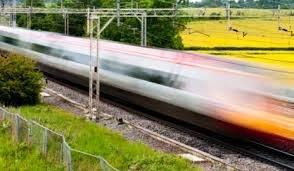 HS2 ~ Nothing to hide: nothing to fear ? The Commissioner found that the request should have been considered under the Environmental Information Regulations 2004 and disclosure of the report was ordered. strengthens the legal requirements placed on trade unions in relation to their obligation to keep their list of members up to date.
" .... every person being found in or upon any dwelling house, warehouse, coach-house, stable, or outhouse, or in any inclosed yard, garden, or area, for any unlawful purpose; ...."
By using the method of a Hybrid Bill in Parliament, has a coach and horses been driven through the European Union's directives aimed at ensuring that important projects are subjected to environmental assessment? 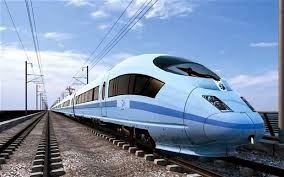 A judicial review of the government's DNS document - High Speed Rail: Investing in Britain's Future - Decisions and Next Steps (Cm 8257, 10th January 2012)- failed in the High Court, the Court of Appeal and now in the Supreme Court. Judicial review is concerned with legality and not merits. 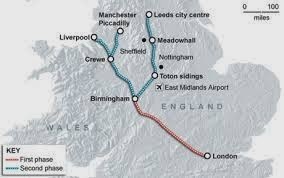 HS2 may or not be a good idea but the court is not concerned with that. 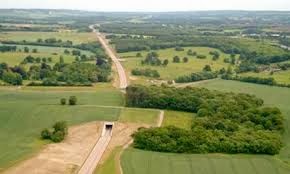 Aarhus Convention and to EU Directives - (a) The Strategic Environmental Assessment (SEA) Directive - 2001/42/EC and (b) the Environmental Impact Assessment (EIA) Directive - 2011/92/EU. Although commonly used, the terms Strategic Environmental Assessment and Environmental Impact Assessment are not actually the correct titles of the directives. They are, respectively, the "Directive on the assessment of the effects of certain plans and projects on the environment" and the "Directive on the assessment of the effects of certain public and private projects on the environment." There are separate judgments by Lord Carnwath, Lord Reed, Lord Sumption, Lady Hale and a joint judgment by Lords Neuberger and Mance. The challenges failed. I hope to take a fuller look at the decision next week. For the time being, the interested reader might take time to read the full judgment and perhaps those of Ouseley J in the High Court (March 2013) and the Court of Appeal (June 2013). 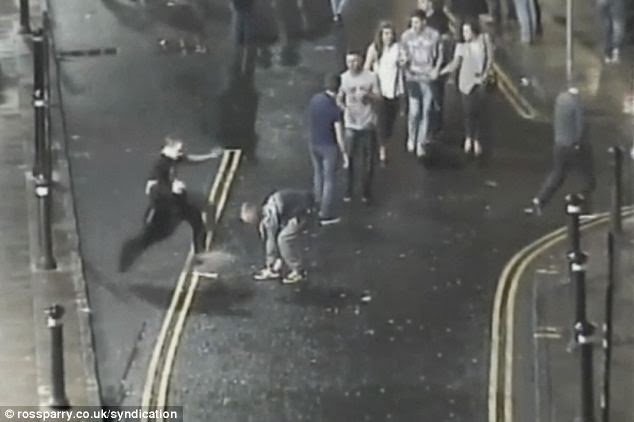 The Daily Mail 24th January asks why a "violent thug" - named as Vitalijis Zavjaloves (aged 22) - did not receive a sentence of imprisonment for his attack on Brian Gallagher in Wigan town centre last December. It is a fair question. Zavjaloves had pleaded guilt to assault by beating and, at Wigan and Leigh Magistrates' Court, he was sentenced to a suspended sentence order involving four months imprisonment suspended for 12 months with a specified activity requirement, 250 hours unpaid work. In addition, £600 in compensation was ordered, a surcharge of £80 and £85 in costs. Courts of law require procedure for their smooth operation but should failure to follow procedure result in serious sanctions? At one time in our legal history there were numerous "writs" each with its own peculiar process. Naturally, this was a pitfall even for the lawyers of the day who tirelessly laboured in the old Common Law Courts and the Court of Chancery. The late 19th century saw reform of the court system. Procedure was simplified and, for many years, lawyers lived with their rule books such as Rules of the Supreme Court. (The term "Supreme Court" referred to the High Court. 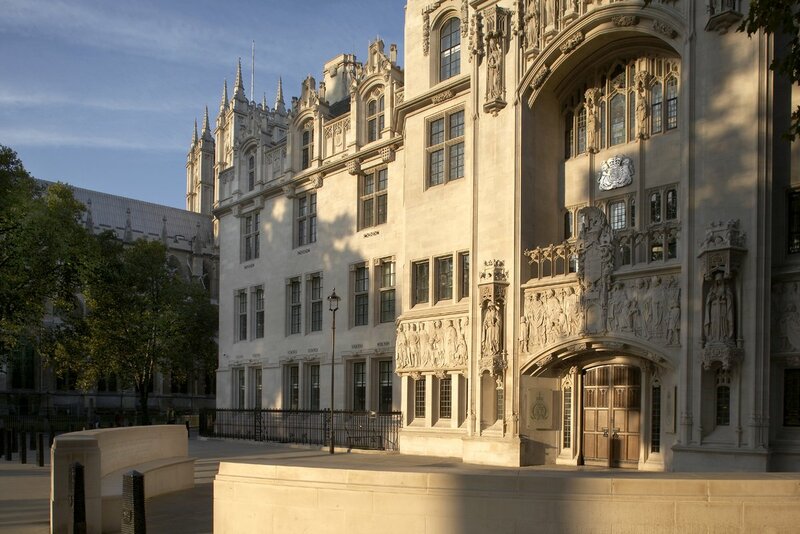 the Crown Court and the Court of Appeal - now known as the "senior courts" - and should not be confused with the modern Supreme Court of the UK which has its own Rules). In April 1999, the old rules of court were replaced by the Civil Procedure Rules which have now reached their 68th update. (There are also Criminal Procedure Rules). The case of Andrew Mitchell MP v News Group Newspapers Ltd  EWCA Civ 1537, saw the Court of Appeal (Civil Division) taking a tough line in relation to the "cost-budgeting" provisions in the Civil Procedure Rules and which were introduced from 1st April 2013. In this Act “lay justice” means a justice of the peace who is not a District Judge (Magistrates' Courts). 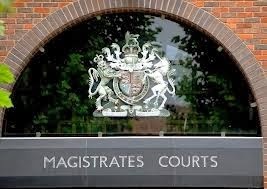 The District Judge (Magistrates' Courts) is a development of the former Stipendiary Magistrate who was a legally qualified magistrate usually to be found in the larger city courts. 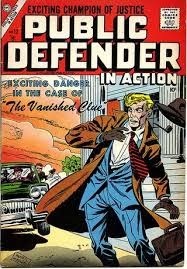 A little more on the developing Public Defender Service. It looks like the PDS is being expanded by the government in order to challenge the independent Bar which has been active in opposing planned cuts to criminal legal aid. Some research on the PDS covering the period May 2001 (when the service commenced) to 2004 is available here. Independent Bar v Public Defender Scheme: Just what is going on? The Ministry of Justice is managing a recruitment process for these posts in the Public Defender Service. Salaries range from £46036 to £125000. 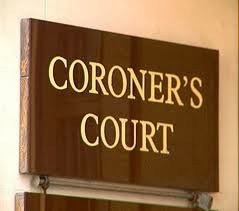 This service is being expanded at the same time as the government's legal aid proposals (i.e. cuts) are likely to make practice at the independent criminal bar unviable, particularly for younger barristers. It would appear that the government would prefer to have a panel of lawyers in their pay rather than to encourage the fully independent criminal lawyer to survive. The true reasons for this can only be guessed at. I know what I think! 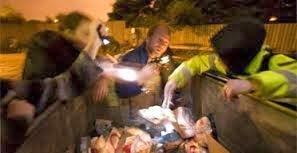 The salaries on offer (and other benefits such as leave and pension scheme) will no doubt prove irresistible to some because most independent lawyers working on criminal legally aided cases are by no means the "fat cats" which the Ministry of Justice has portrayed them to be. The Times headline on Saturday 18th January was - "Police fear inner cities take law into own hands." This referred to an interview given to The Times by the Chief Inspector of Constabulary (Tom Winsor). 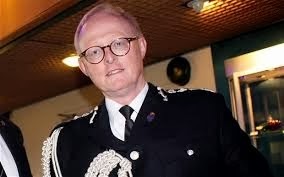 Mr Winsor is due to publish a report on the efficiency and effectiveness of the Police and, for that reason, I will confine this post to just a few of the comments as reported by The Times. 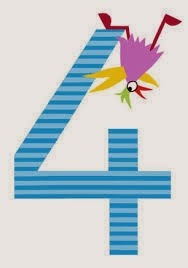 Law and Lawyers is 4 years old this week (on 14th January). It has been interesting to look back at the post of the 3rd birthday where concern was expressed about what were then impending changes to legal aid. They are in the Legal Aid, Sentencing and Punishment of Offenders Act 2012 and were implemented on 1st April 2013. This has minimised the availability of civil legal aid and removed it altogether from some important areas. As expected, criminal legal aid has also come under attack from the government and the fight to secure as much legal aid in this area as possible continues. Representation before the courts for those accused of crime is a basic, fundamental requirement of a true democracy. If you are concerned about the way we are heading, I would urge you to sign the petition at Justice Alliance petition to save access to Justice. Writing in The Times (16th January 2014) (£ wall) - Lord Pannick QC argues that The European Court of Human Rights (the court) does not undermine democracy. Lord Pannick's view follows recent lectures by senior members of the English judiciary which have raised questions about the relationship with the court - see Lord Sumption, Lord Judge, Lord Justice Laws. Some counterbalancing argument is to be found in lectures/speeches by Lady Hale and Lord Mance. Lord Sumption warned that the "wholly admirable" text of the Convention has been interpreted in ways leading to a significant democratic deficit. 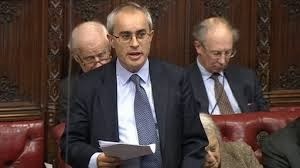 Pannick argues that Sumption is wrong for two main reasons. Why bother with human rights? 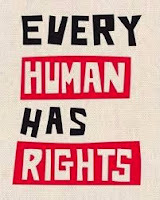 To read a lot of the media comment about "human rights" - (yuman rights - as I have noticed some media commentators putting it) - you would think they were altogether a terribly bad thing. After all, they can stop government and all sorts of big brothers walking all over you and yours!!! Can't have that - can we? Good read about this at The Defence Brief blog. Well said, sir. Of course, you might need a spot of legal aid and an expert lawyer if you are to be able to make sure that those rights are meaningful. For more about the European Convention on Human Rights see Council of Europe. 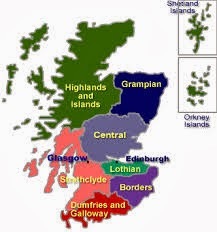 The aim of the United Kingdom's State Immunity Act 1978 is to grant other States immunity from the jurisdiction of the courts of the United Kingdom except as provided in the Act itself. A number of exceptions to that general rule appear in sections 2 to 11. 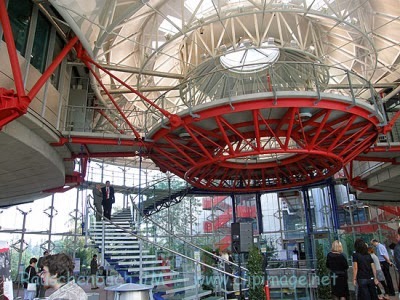 As long ago as 2001, the European Court of Human Rights Grand Chamber decided Al Adsani v United Kingdom - (Grand Chamber 21st November 2001). Mr Al-Adsani sought to sue Kuwait in respect of injury to his physical and mental health caused by torture in Kuwait in May 1991 and threats against his life and well-being made after his return to the United Kingdom on 17 May 1991. Mr Al-Adsani's claim was rejected in the Court of Appeal and a further appeal to the House of Lords was refused. At Strasbourg, it was held that there was no violation of Articles 3 and 6. On 14th January 2014, the European Court of Human Rights has reached a similar conclusion in Jones, Mitchell and other v United Kingdom - (European Court of Human Rights Fourth Section). See also the article in The Guardian 14th January. It is reported that the Coroner (His Honour Judge Keith Cutler) who presided over the Duggan Inquest is to invite the Duggan family to 'help shape police gun policy' - The Guardian 12th January 2014. The judge, who is preparing recommendations on firearms procedure for the home secretary after issues raised at the inquest, described his decision to consult the family as "unusual, perhaps unique" but the right thing to do to achieve transparency. The Coroner will be in the process of preparing what is now referred to as a 'Prevention of Future Deaths' report - previously known as a 'Rule 43' report. 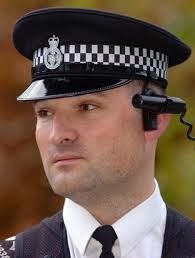 It is reported that armed Police Officers will wear video cameras - Armed British police to wear video cameras . Firearms officers in London are to start wearing video cameras to record evidence of their actions, the Metropolitan police commissioner, Sir Bernard Hogan Howe, said on Thursday. See also the Daily Mail 11th January - Metropolitan Police announces £1.6m trial of wearing cameras - where it is reported that "Commanders hope the footage will help restore trust in the force and give an 'objective' account of the most controversial confrontations." Similar developments elsewhere include those in New York - New York Times 22nd October 2013 -where it is argued that cameras may protect officers against false accusations of misconduct. " .. by adopting an objective, transparent monitoring system that allows us to defend those unjustly accused and correct or punish those caught abusing their power, we can prove to the public we believe no person should be above the law, particularly those sworn to uphold it." The evening of 4th August 2011. 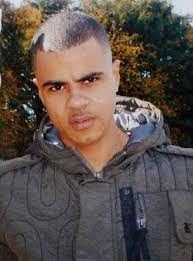 At Ferry Lane (Tottenham, London), the Police intercepted and stopped a taxi (or minicab) carrying Mr Mark Duggan. Mr Duggan got out of the vehicle. Two shots were fired at Mr Duggan by one of two Police Officers confronting him. The officer who fired is referred to as V53. The other officer is W42. Mr Duggan died as a result. A handgun was found at the other side of a fence which was alongside the pavement where the Police had shot Mr Duggan. (There is also a short section of wall). These are the bare facts of this situation. Serious disorder followed this event, not only in London but in many other cities and towns. The disorder was covered extensively on this blog and elsewhere. The Police claimed that officer V53 had acted in self-defence in the honest belief that Mr Duggan was holding a gun at the time. UPDATE 9th January: The amendment set out below was carried in the House of Lords by a majority of 178. The debate may be viewed via Democracy Live. An amendment has been moved to the Anti-social Behaviour, Crime and Policing Bill. For details see Big Brother Watch and HERE. The government has proposed a cross-amendment - HERE. Previous post of 7th January 2014. Update 8th January: An amendment to Clause 1 of the Bill has been put forward in the House of Lords. See HERE. This amendment was carried - see also Democracy Live. 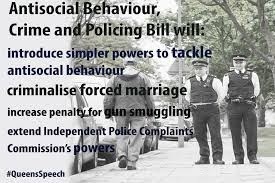 The Anti-social Behaviour, Crime and Policing Bill has almost completed its Parliamentary process. For some, it is seen as a very illiberal bill - e.g. see the article by George Monbiot in The Guardian 6th January. Monbiot goes so far as to assert that this is 'the most oppressive bill pushed through any recent parliament.' Concern was expressed in the Pre-Legislative Scrutiny Report about the continual widening of what amounts to anti-social behaviour - (Page 26 of this report). An earlier post on this blog looked at the bill when it was first introduced and noted that there remains the long-stop of the Human Rights Act 1998 which public authorities are required to follow. Here is a good example of why either removing or limiting the scope of human rights protection could result in serious erosion of freedom. The Bill is replete with human rights implications though, as is usual, the government issued a statement of compatibility. 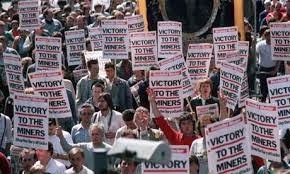 30 years have elapsed since the Miner's Strike of 1984-5. The Guardian 3rd January 2014 reports that Prime Minister Margaret Thatcher requested plans to be prepared for the use of troops to move coal to power stations. The article states that Thatcher "was secretly preparing to use troops and declare a state of emergency at the height of the miners' strike – out of fear Britain was going to run out of food and grind to a halt ..."
The phrase "declare a state of emergency" was interesting. Did such a "declaration" actually give greater power to the authorities? Today, lawyers took unprecedented action in their campaign on criminal legal aid. As far as anyone knows, there has never been a previous day when lawyers have decided not to attend court. 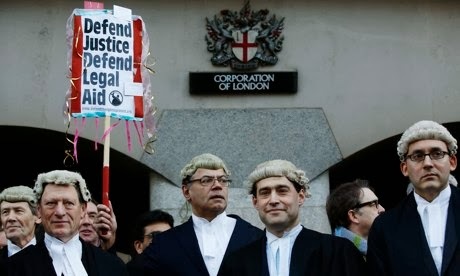 The reasons for the action are well explained in a post on the Legal Cheek blog - This is why criminal lawyers are striking today. 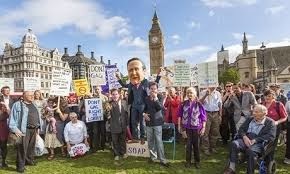 "This year some public sector workers will receive pay rises. Criminal barristers and solicitors, meanwhile, have been told to expect pay cuts of 17.5% for less serious cases and 30% for very high cost cases (VHCCs)." See also this article and video in which Mark George QC explains clearly the likely impact on justice of the proposals. Also, this interview (on Youtube) is well worth watching - Sarah Forshaw QC talks to Huw Edwards. Further excellent comments in The Guardian's article: Legal Aid: is this the cut that kills? In 2013 there were two consultations on legal aid - see the posts of 4th June 2013 and 5th September 2013. The government's response to the second consultation is awaited. There can be little doubt that, if these cuts are implemented, the future for an INDEPENDENT criminal bar will be very grim. Young talented lawyers will not be able to afford to practice in criminal law and that would have devastating longer term consequences for justice both in terms of prosecuting cases and defending those accused. 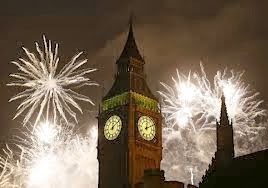 A VERY HAPPY NEW YEAR to all readers. We are only just into the New Year so let's not be unduly serious for today! The Telegraph informs us that Murderers could get hundreds of years in jail to get round the European Court ban. Wait a moment ... it may apply to other offenders as well ... The Telegraph goes on .... "Murderers and other offenders convicted of very serious crimes could be given US-style jail sentences lasting hundreds of years to get round a ban by European human rights judges ..."
The decision in Vinter v UK, is causing the judiciary some problems when sentencing for murder - (as discussed last month) - and a Court of Appeal ruling is imminent.